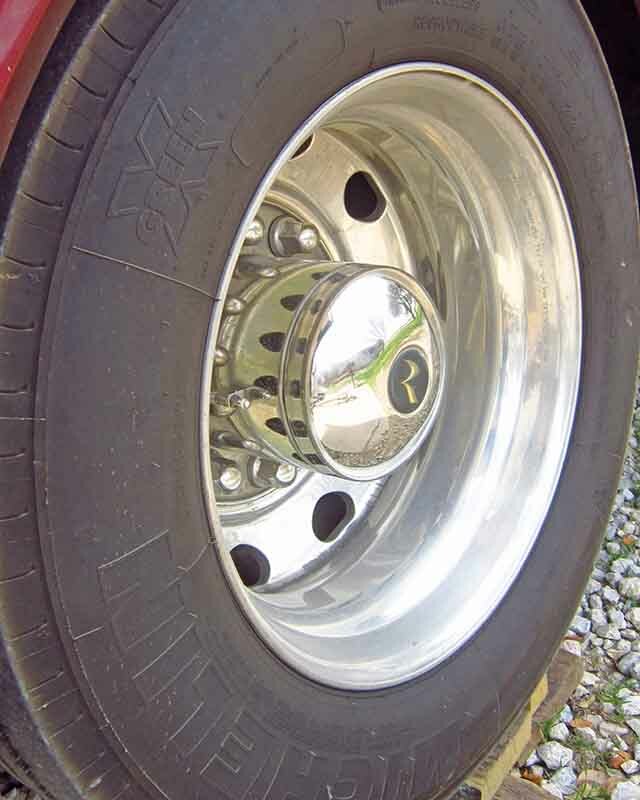 Among the most important items found on any RV, whether it’s a Pop-Up, Travel Trailer, Fifth Wheel, Towing Unit (used to pull RV) or Motorhome, are the tires which it rides on. Given their importance to you and your rig's safety, your RV tires are often not given the priority of attention they require. Your life depends on them! Having the right tire for the application is crucial, but often manufacturers and RV owners take the cheap way out. Proper high quality tires are expensive! 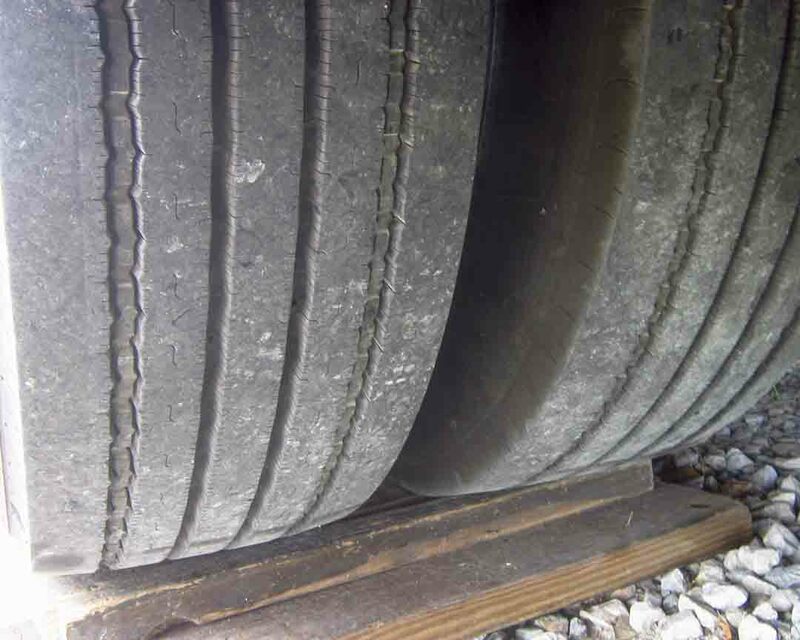 The question few ask themselves…”Am I worth the cost?” Given what tire manufacturers choose to install as OEM equipment…they don’t think so, hence the reason there are so many RV accidents related to tire failures. 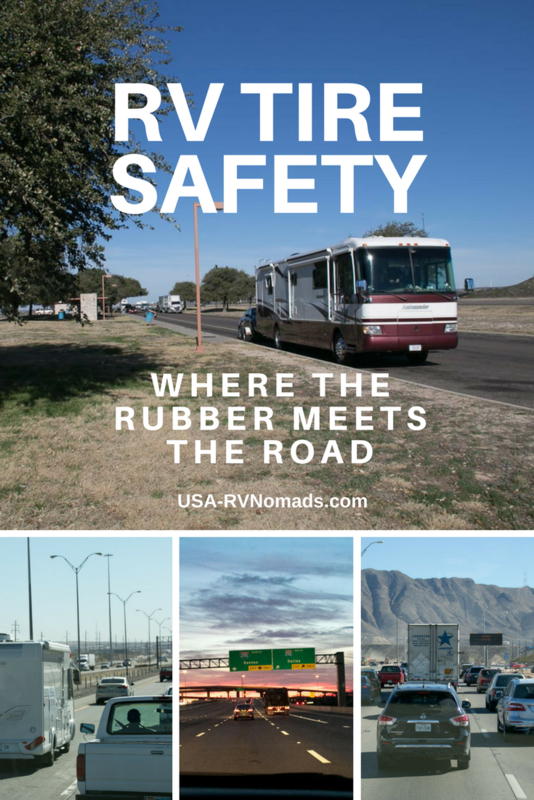 Why Do RV Tires Fail? A key note to remember is that it isn’t always the tire’s fault it failed. Many tire failures are due to owners who drive beyond the tire’s rated highway speed, drive with tires either over or under inflated and/or run tires beyond their designated service life. Let’s also include those who are using tires for an application for which they were not designed. Improperly mounted tires or tires used on equipment with other mechanical issues add stress and premature wear to the tire. Let me share our story about the tires on our motorhome. When we purchased our motorhome in 2013 it still had the original tires it left the factory with. That made them nine years old with a little over 25,000 miles on them. The rule of thumb for RV tires is to replace them when they reach between 5-7 years of age. We knew (lots of reading and research) that replacing tires was high on our priority list even though they had no visible signs of age related wear. They had plenty of﻿﻿﻿﻿ tr﻿ea﻿﻿﻿d left and there were no signs of cracking or dry rot. So off on our adventure we went. Then it happened. We were in northern Texas moving from one resort to our next when we experienced an unexplainable vibration. It was very pronounced but intermittent. Over the next thousand miles it became more and more pronounced and with more frequency. We even stopped a one point to have our front alignment checked to see if that was what was causing the vibration. No, the alignment was spot on. Turns out the front right tire was taking on an elliptical shape going from being round to that of an egg. Apparently, a belt inside had fractured due to possibly one of the many potholes we had encounter on our travels. The shop wanted way more than I was willing to spend to replace the front two tires…you replace them in sets! Two, Four or Six. You always want tires on the same axle to be similar in size, diameter and pressure. So, we limped back to our home area. We made the right choice…replace the tires BEFORE we had an incident or accident. Tires, especially good ones aren’t cheap! The original tires were Goodyear’s and they rode well enough but we had been doing some reading and research and found nothing but high marks for Michelins. After price shopping around the local commercial tire dealers we settled on a shop and the brand of tires. I made an appointment to have the tires replaced. Make sure when you’re shopping for tires you get ALL of the cost involved before selecting a shop. The price we were quoted included the tire, mounting, balancing (you may have to specify you want this done because some don’t offer it unless asked), shop fees and disposal of the old tires. Inspection of the old tires (other than the one that was ovaling) revealed no cracking or dry rot not even inside. One had a puncture repaired sometime during its life. The shop we selected serviced heavy trucks as well as cars. We were able to drive into a pull thru bay and able to leave our tow dolly and car attached which made it even easier on us. If the shop permits, when the tires and wheels are removed it’s a good time to take pictures and inspect for anything out of the ordinary. 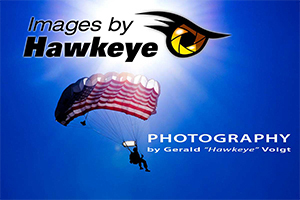 This will also give you the owner a chance to familiarize yourself with your rig’s running gear. Which might help you down the road…I know it helped us. Supervise the job…make sure they do what you contracted them to do. Make sure they are using the right jacking point under your RV so as to not damage it because they are not familiar with your rig. 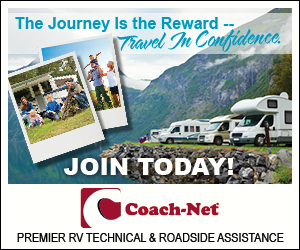 I know this is a lot to ask of those with limited mechanical or physical abilities who don’t work on their own RV…but it could save you money and inconvenience of dealing with preventable damage. Inspect the workmanship. Make sure an overzealous technician didn’t crack a rim or forget to put the hub and stud covers back on. Once the new tires were installed and we pulled out of the shop it was instantly noticeable. The new Michelins were quieter, smoother riding and made our motorhome more responsive when turning. If you feel something odd or there is a strange noise you didn’t have before, turn around and go back to the shop to have it checked before you get too far down the road. Mistakes happen and it is better to address those mistakes before your tail lights are out of sight from the shop.